Few days back, I been invited to witness partnership between Total Oil Malaysia and Badminton World Federation(BWF) of BWF Major Events from this year, 2015 until 2018. 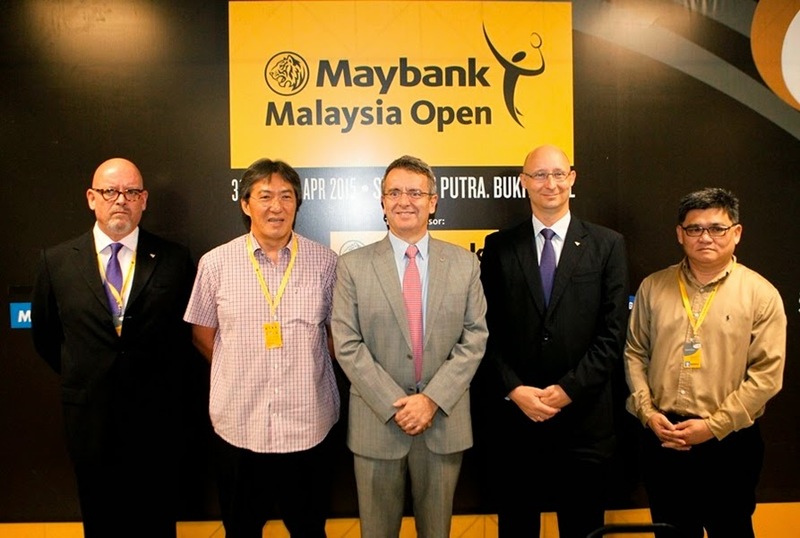 Total Oil Malaysia activated the TOTAL - BWF partnership announced on 12 January 2015 at a press conference on 3rd April 2015, during the Maybank Malaysia Open 2015. Badminton, one of Malaysia’s most loved sports will be a key communication vehicle in fulfilling Total Oil Malaysia’s commitment to significant growth locally. (From left-right): YBhg. Dato William Toh, Chair of the Badminton Association of Malaysia (BAM) Committee; Mr. Antonio Miranda, Managing Director of Total Oil Malaysia; Mr. Thomas Lund, General Secretary of Badminton World Federation (BWF); and Mr. Kenny Goh, General Manager of Badminton Association of Malaysia (BAM) answering questions at the Total-BWF Press Conference yesterday. As we know that, Total is committed to delivering outstanding performance and endurance of car engines with TOTAL QUARTZ car engine oil and identifies the badminton sport as a game of athletic endurance, alongside our globally active role in performance and endurance motorsports (Formula 1, Dakar, Moto GP, and many more). (From left-right): YBhg. 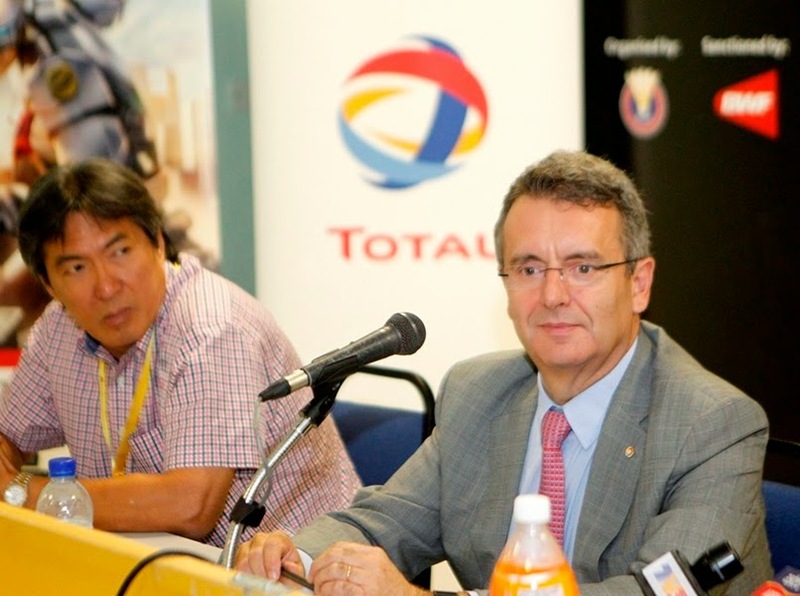 Dato William Toh, Chair of the Badminton Association of Malaysia (BAM) Committee listening in as Mr. Antonio Miranda, Managing Director of Total Oil Malaysia shares his thoughts on Total being the Title Sponsor of BWF Major Events from 2015 until 2018. Did you know that, Total lubricants for cars, motorcycles, commercial vehicles and industries have been present in Malaysia for more than 30 years. “With our extensive network of TOTAL QUARTZ Auto Care / Auto Lube Care workshops and TOTAL Lubigo – a new online sales platform, we believe the TOTAL-BWF partnership will encourage more Malaysians to choose TOTAL,” he added. In addition, the Badminton World Federation (BWF) Secretary General, Thomas Lund hailed the new partnership “a natural fit” given common characteristics such as explosive power and endurance and noted it speaks volumes that “a significant player in the global energy industry has chosen to partner with badminton – the fastest racket sport”. 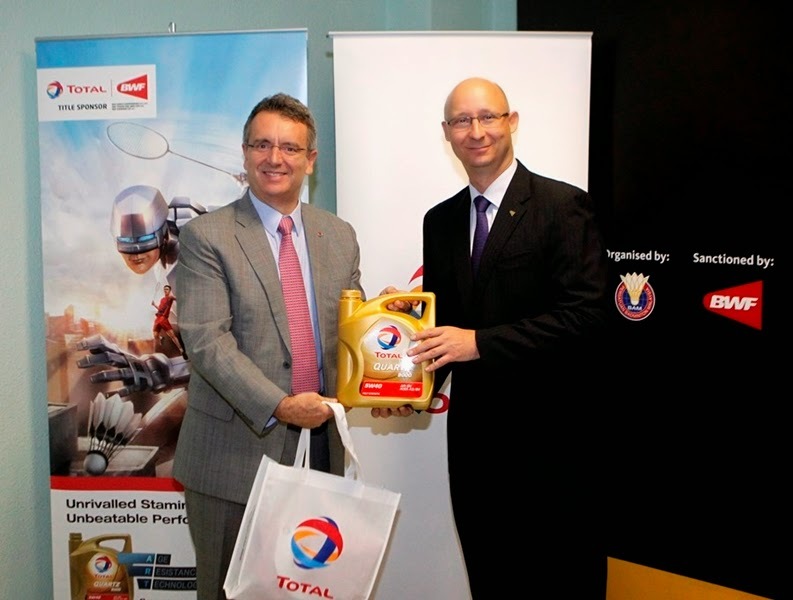 (From left-right): Mr. Antonio Miranda, Managing Director of Total Oil Malaysia handing over a bottle of Total QUARTZ 9000 to Mr. Thomas Lund, General Secretary of Badminton World Federation (BWF) as a symbol of partnership at the Total-BWF Press Conference yesterday. “BWF and Total share key corporate values and goals and we anticipate this will be a mutually beneficial partnership that enhances the brand recognition of both products as Total and BWF strive for greater innovation and global growth to continue raising their respective corporate profiles,” said Lund. (From left-right): Mr. Owen Leed, Commercial and Communications Director of Badminton World Federation(BWF); YBhg. Dato William Toh, Chair of the Badminton Association of Malaysia (BAM) Committee; Mr. Antonio Miranda, Managing Director of Total Oil Malaysia; Mr. Thomas Lund, General Secretary of Badminton World Federation (BWF); and Mr. Kenny Goh, General Manager of Badminton Association of Malaysia (BAM) at the Total-BWF Press Conference at Stadium Putra Bukit Jalil. With Malaysia continuously holding one of the top ranking spots in badminton worldwide, this partnership is timely and meaningful for both BWF and TOTAL in Malaysia.